The new strain of Oregon State University patented bacon-flavored seaweed is packed with vitamins, minerals, antioxidants and protein. Every few years, a new “superfood” comes along. The problem with these superfoods is that they normally don’t taste that good—at least not to your sort-of-unhealthy, fat-loving, average Joe like me. But that may all be just about to change. Researchers at Oregon State University say that they’ve patented a new strain of seaweed that tastes like bacon when fried. The seaweed, called dulse (rhymes with pulse) resembles translucent red lettuce and is apparently chocked full of vitamins, minerals, antioxidants, and protein. The researchers at OSU say that the patented-strain even has twice the nutritional value of kale. Eating dulse is not a new concept. The seaweed has been used for centuries in powder or flake form by many cultures in Northern Europe. Thus, it’s already kind of a superfood in its own right. 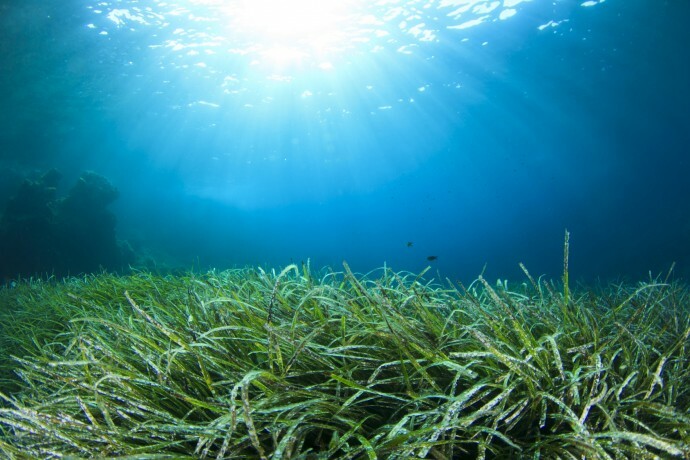 What the researchers at OSU have done, however, is develop a strain of seaweed that can be harvested and eaten fresh. That gives the seaweed a totally different texture and taste. Most exciting, of course, is that the fresh seaweed apparently tastes like bacon when fried. Natural forms of the seaweed already grow along the Atlantic and Pacific coastlines. But while some local cultures harvest dulse for their own use, there are currently no commercial operations that grow dulse for large0scale consumption. OSU hopes to change that. Langson already has two large tanks of the bacon-flavored dulse growing outside his office, which each produce about 20-30 pounds of the marine algae per week. The super-nutritious bacon-flavored seaweed is extremely easy to grow and already grows in the Pacific and Atlantic Oceans. The marine science department, meanwhile, is working with the business school to market the new product and to potentially develop a line of specialty foods. OSU’s patent will also help it get a head start on competition. New strains of plants have been patentable sine the Plant Patent Act of 1930, and patents are commonly granted for mutant and hybrid plants, especially to agricultural firms. And, like other inventions, plant patents give the owner exclusive-use rights for 20 years. Thus, OSU’s patent should help make the university a lot of money should the seaweed become a big hit. The new strain was originally developed in an effort to find a more efficient way to feed abalone, which is a popular delicacy in Asia. That effort was successful: the dulse-fed abalone grew at a faster rate and at a high enough quality to be sold at high-end seafood markets. Thus, the new strain will probably be grown even if it doesn’t catch on as a new superfood. That being said, everyone is most excited by it’s potentially bacon-like flavor. If the flavor is as good as it sounds, dulse may just be the next big thing in the US, a country known both for its health-food crazes, as well as its obsession with bacon.